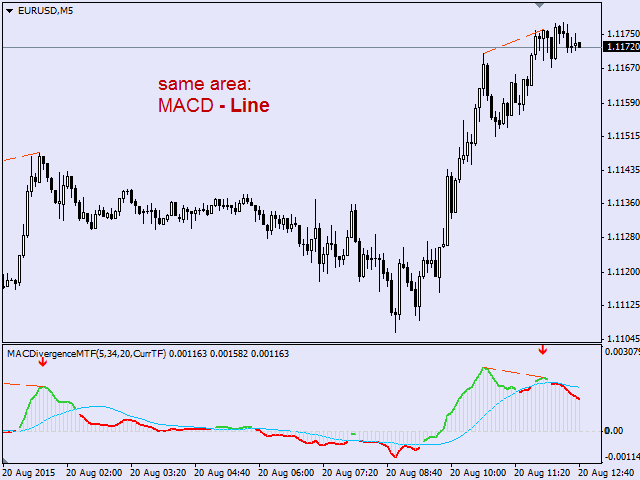 Enable the Message about changing color of the MACD - enable/disable messages about change of the trend when the MACD crosses the zero or signal line. Reverse Bearish Divergence color - color of reverse bearish divergence. Fixed MACD color change alerts. 1. 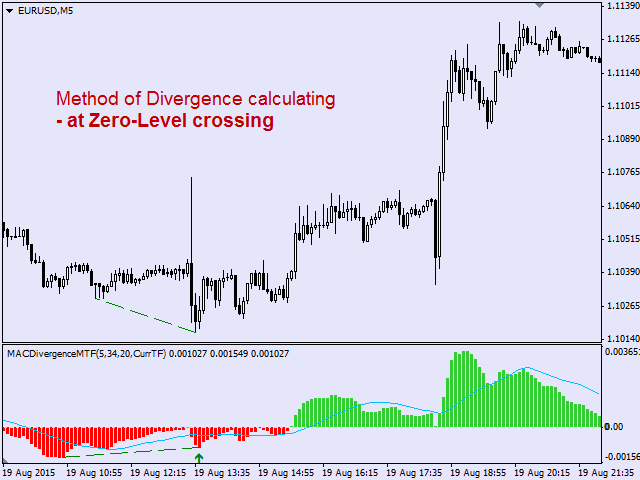 Added the method for calculating divergences, suggested by Elder in the book "Two Roads Diverged: Trading Divergences" (also based on intersection of MACD and 0, but the end of a top/bottom is the next bar after an extremum). The signals of the method are generated earlier than that of simple MACD and 0 intersection, but the number of false signal has also increased. 1. 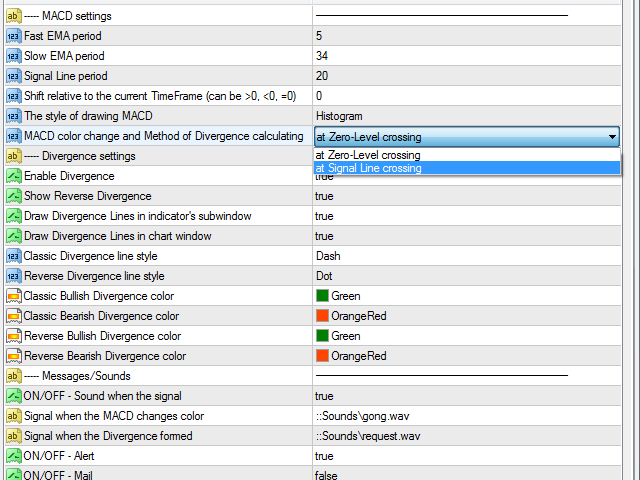 Added the "Enable the Message about changing color of the MACD" parameter, which enables/disables sending messages about change of the trend when the MACD crosses the zero or signal line. 2. 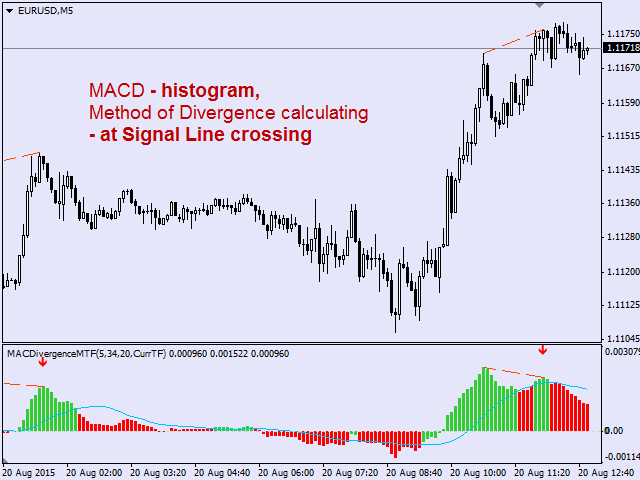 Many trades were confused that the indicator drew signal arrows at the peak of MACD, and the signal itself appeared much later, when the formation of that peak completed. That is, the signal arrow was drawn "in the past" when compared to the signal appearance time. 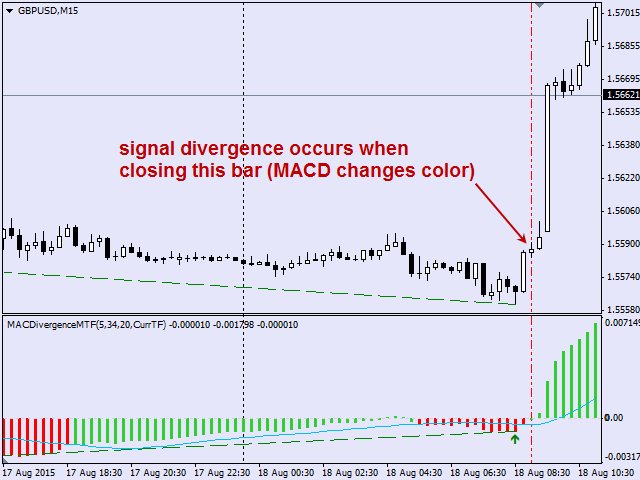 In this version, the divergence arrows have been moved from the MACD peak to the bar, where the signal appears. 3. 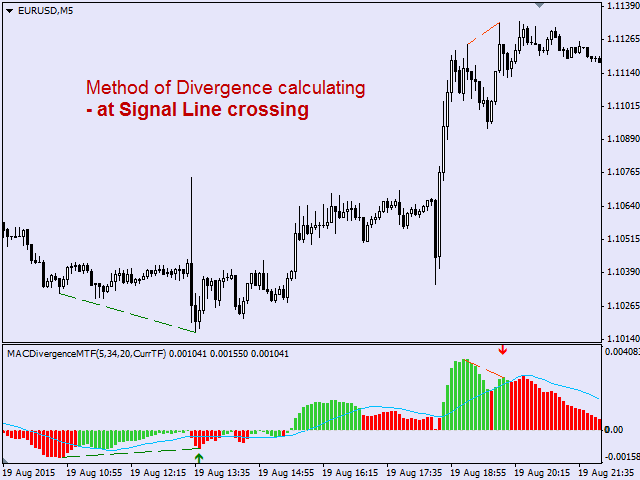 The 'Enable Divergence' parameter (enable/disable all divergence signals) has been replaced by the 'Show Classic Divergence' (display classic divergences). 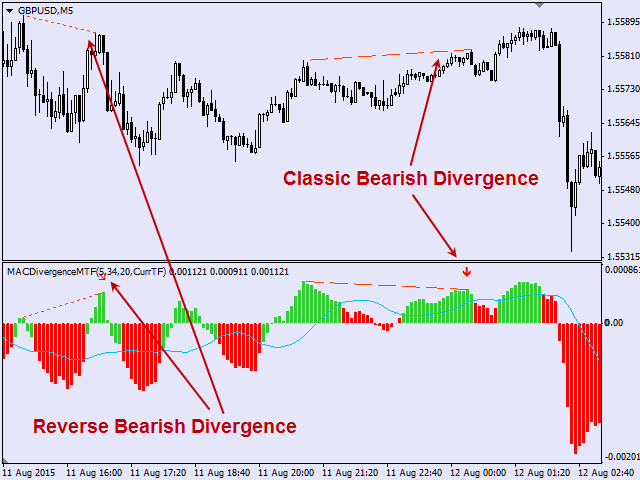 Thus, the indicator is now able to display the classic and reverse divergences separately using the 'Show Classic Divergence' and 'Show Reverse Divergence' parameters.